SHC functions as an umbrella organization for a variety of programs that promote sustainable agriculture, local food, and active, healthy lifestyles. Through these programs, we hope to inspire people to think more about these important issues, and empower them to make positive changes that transform their lives and communities. Our nonprofit was established in 2007 as Litchfield Hills Food Systems. Over the years, we've worked with many partners around Northwest Connecticut to improve the lives of people in our communities. We began by focusing on food systems, and through that work connected deeply with broader issues like combating childhood obesity. We started to take a more holistic approach by instituting programs across a range of priorities, from supporting local farmers to educating kids on being active and eating healthy. 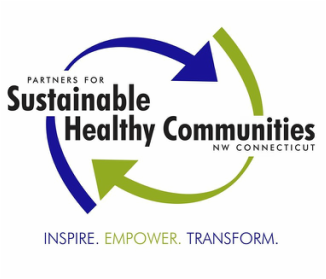 In 2015, we officially renamed our organization to Partners for Sustainable Healthy Communities, but that's really what we've been all along. Our mission is to cultivate better communities by nurturing and supporting programs that connect and support sustainable agriculture, local food and active, healthy lifestyles. We partner with great organizations to run a variety of programs that further this mission. We also do lots of research and talk to leaders from other like-minded nonprofits to tap into the latest and greatest ways to make a positive impact in the fields we care about, and provide that information to the groups that we work with, from local farmers to schools, parents and their children.